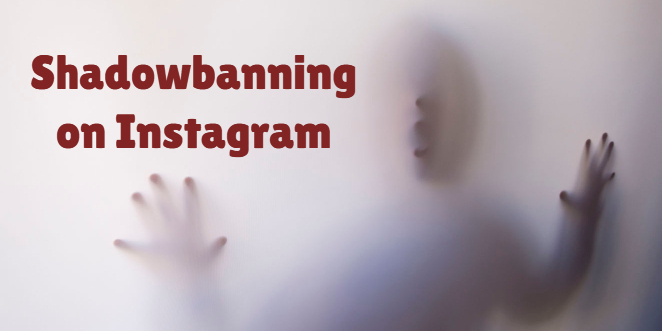 Today I’m going to explain one of the most feared and misunderstood concepts in all of Instagram marketing – shadowban! I’m going to tell you what shadowbanning is, how it can happen to you, and what you can do if you get shadowbanned. I’m also going to show that it isn’t always the worst thing that can happen to you, and what else you need to worry about. Le’ts find out about shadowbanning! 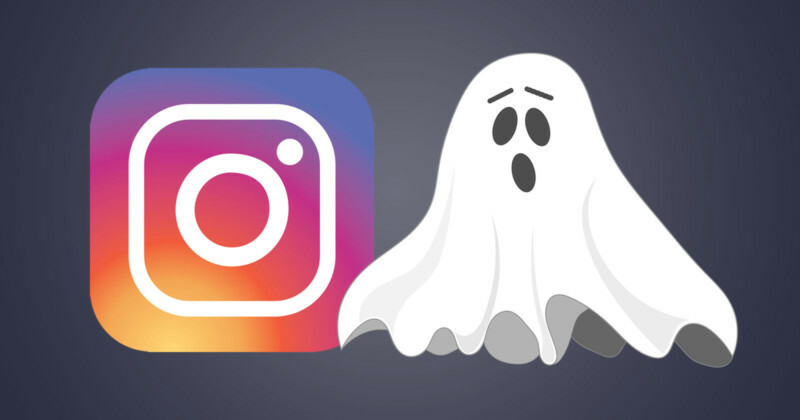 Instagram shadowbans sound pretty scary! It sounds like something that happens to your favourite character in Game of Thrones – but shadowban in Instagram is definitely real. (Instagram have denied it exists, but they are lying). Basically what can happen is that your account can be hidden from appearing in hashtag searches. So if you do a post with 20 hashtags, your post will not show up in searches for any of those 20 hashtags. It is still posted on Instagram but is invisible in those hashtags, so it is living in a shadow! Hence the name. Keep in mind that the post is still visible on your feed, in your followers’ timelines, and so on. It just won’t show up on hashtag searches. How can I get shadowbanned on Instagram? There are a lot of theories about what can cause a shadowban. Nobody really knows for certain except Instagram, and they aren’t talking (they don’t even admit that it exists, although it certainly does). Most people believe it is caused by an account overusing hashtags. If you post the same hashtags over and over, people believe that Instagram “punishes” you by banning you from appearing in any hashtags. This is to discourage people from being dumb and just dumping the same 30 hashtags over and over when they do a post. Which is obviously abusing the system! Hashtags are supposed to be relevant and relate to the picture you are posting. So they should be changing pretty often – and that is the solution to avoiding the shadowban. If this hashtag theory is true (and most people think it is), then there is a simple way to avoid getting shadowbanned. It’s called Hashtag Rotation or Hashtag Cycling. Basically what you do is come up with a big list of hashtags (100 or so), then break them into smaller chunks or groups of 10 to 20 hashtags. Then you cycle through those chunks of tags. Each time you do a post, you pick one of the Not one you have just used, ideally one you haven’t used for a while. Then you mark it off as being recently used (so you can remember). Then the next time you post, you pick another group or the next group. This way, you are not using the same hashtags over and over again. I use a Notes file on my phone that has all these groups of hashtags in it. Every time I post I put a little marker (a dollar sign) next to the group I have just used. Then next time I post, I erase that marker, use the next group of hashtags, then put a marker next to that group! Bonus tip: throw in a few unique “long-tail” hashtags that are very specific to the particular photo when you do the post too. Instagram will like this because those tags are ones you have rarely or never used before. How can I tell if I have been shadowbanned on Instagram? There are a few ways to test if you have been shadowbanned. There are a few websites out there that can apparently “check for you”, but I don’t really like them or trust them. They probably just want to sniff around your Instagram profile and do who knows what with the data. There are a couple of other ways. You can get a friend to check for you – do a post, see if they can find it in a hashtag search. It’s ok but it’s a bit clumsy and I don’t love it. The best way is a sneaky way. Here is how the method works. Make sure you have two accounts, A and B, and make sure account B does NOT follow account A. This is a dummy hashtag that should have nobody using it, so is useful for testing if your post is turning up in searches. (Why # igtesting2? People used to use #igtesting but so many people were testing shadowbans that it started to become hard to see if you were visible or just not ranking high enough!). Now log in to account B, go to hashtag search and search for #igtesting2. There should be barely any posts using that tag, so you can make sure if the post from account A is visible. If it isn’t, you are in a shadowban. You need to make sure that account B doesn’t follow account A, because if you follow someone, you can always see their posts in hashtag searches, even if they are under a shadowban. Nobody is really sure, sadly. There are lots of theories but they are mainly speculation. I would recommend taking a break from Instagram for a day (but no longer, or you will pick up inactivity penalties). Then start posting once a day, with no hashtags. Do that for a week, then start slowly increasing the number of hashtags on your posts, making sure to recycle your hashtags. Is a shadowban on Instagram all that bad? This is an interesting question. Some people assume that shadowban is the worst thing in the world, and that they might as well give up Instagram and go dropshipping or something if this happens. This is not true at all! In fact, I think there are worse penalties than this lurking in the basement of the Instagram secret police. 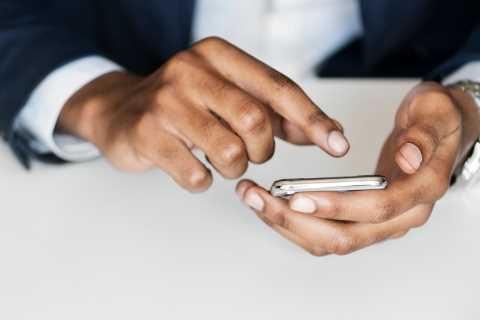 Hashtag searches are a big way for your content to be discovered, and can definitely help you get followers, but they are just one distribution channel on the platform. I actually think there are worse penalties (such as a restriction of your organic reach). So I wouldn’t worry to much about this happening to your account. Keep focused on your social media marketing strategy and putting in the work and you will be back getting followers in no time! Want to learn more about Instagram? If you want to learn more about Instagram… that’s great! It’s a fun and powerful platform that is great for building a following and getting free traffic. I have written about affiliate marketing on Instagram and how to grow your Instagram followers, so you might want to check out those articles. Or if you want to really grow your Instagram and start making easy income from this platform, check out this amazing course – it only costs a few dollars and teaches methods that are shared only in high-end programs. Do you have any other questions about Instagram? Let me know in the comments! Previous Post Profit Portal Review Next Post What is shadowbanning on Instagram?